The main difference between step-up and step-down transformer is that, step-up transformer increases the voltage whereas a step-down transformer decreases the voltage. The secondary voltage of step-up transformer is more than that of its primary voltage whereas the secondary voltage of step-down transformer is less than its primary voltage. In fact, these two terms, i.e. 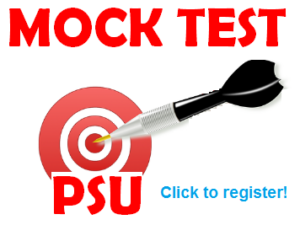 step-up or step-down has significance from operational point of view. From construction and design point of view, there is no difference between step-up and step-down transformer. A given transformer can be used as step-up or step-down transformer. If the HV (High Voltage) winding is connected to supply main and LV (low voltage) winding to load, the transformer works as Step-down transformer. This is because, the transformer is delivering the power at a decreased voltage at secondary terminal. Figure below shows a step-down transformer. 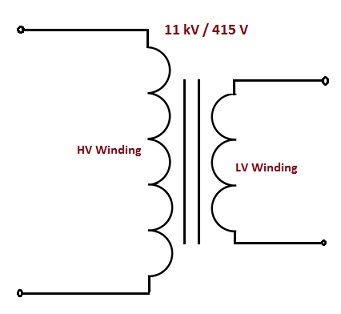 In the above figure, HV winding is connected to 11 kV source and LV winding is connected to 415 V load. Since the secondary voltage is decreasing from 11 kV to 415 V, it is called a step-down transformer. It should be noted that, in this case HV winding is the primary winding as it is used to connect to 11 kV source. LV winding is secondary winding as it is connected to the load. The transformer winding energized from supply main is called Primary Winding. 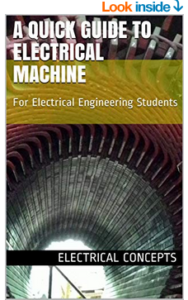 The transformer winding supplying electric power to the load is called Secondary Winding. The same transformer may also be connected in reverse way as shown in figure below. The above transformer, works as a step-up transformer. Here the LV winding is primary winding and HV winding is secondary winding. Thus a transformer can only be termed as Step-up or Step-down when it is in service. One can distinguish a transformer as step-up or step-down only after having knowledge of their application. A stand alone or isolated transformer cannot be said step-up or step-down transformer. Thus there is no any difference between step-up and step-down transformer from core construction, winding design and working principle point of view. But from operational aspect, yes there exists some difference between the two. The major differences between Step-up and Step-down Transformer lies in their application. 1) The output voltage of Step-up transformer is more than the source voltage. The output voltage of Step-down transformer is less than the source voltage. 2) LV winding of transformer is the primary and HV winding is secondary. 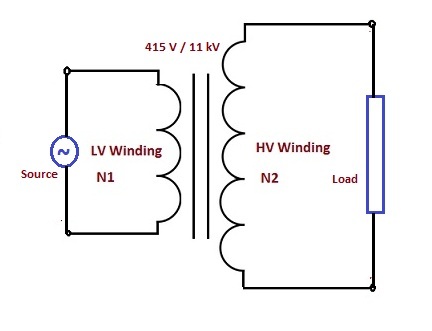 HV winding of transformer is the primary and LV winding is secondary. 3) The secondary voltage of Step-up Transformer is greater than its primary voltage. The secondary voltage of Step-down Transformer is less than its primary voltage. 4) The number of turns in primary winding is less than the secondary winding. The number of turns in primary winding is more than the secondary winding. 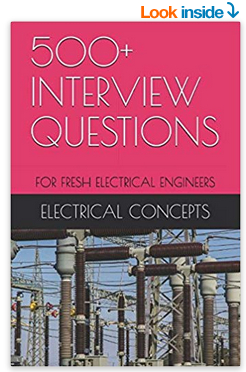 5) Primary current of transformer is more than the secondary current. Secondary current is more than the primary current. 6) Step-up transformer is generally used for power transmission. Generator Transformer in power plant is one example of Step-up Transformer. Step-down Transformer is used in power distribution. Transformer in residential colony is one example of step-down transformer.